Find My Workspace lists over 95% of the executive office suites market in San Jose (California). Simply click Request Quote to check pricing for one office, or Add to Basket for multiple offices. This center is bringing a new concept in coworking workspaces that elevate your work life. A concept that includes amenities and details that appeal to all senses. 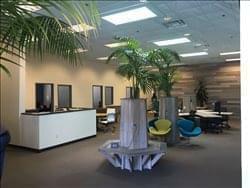 This location takes pride in cultivating the space and culture – so you can focus on your business. You can enjoy many of the amenities this center has offer such as, administrative support, break lounge, conference facilities, copy and print facilities, and more. This centre’s flexible workspace and digital media studio offers you a location in this wonderful community just a few blocks away from the beach! With a mix of offices, open workspace and meeting space, this centre has everything you need to be productive in paradise! The digital media studio facilities provided by the centre partners at Santa Cruz Community TV provide film and edit studios along with any production equipment you could need right at your fingertips. Located on Soquel Drive just over the bridge from downtown and even closer to some delicious lunch spots, boutique shops, and hotels. This exquisitely furnished and highly professional yet relaxed workspace provider is the ideal place for those who want a private serviced office but with the options of lounge areas and co-working areas too, to benefit from significant flexibility and versatility for working situations at all times. From the business center itself there are panoramic views of San Jose city from all external work space. The center provides a sleek and contemporary design, providing a surrounding to help you engage and focus on your work. Further to this there are meeting rooms available for tenants to use as they need.